Botox, Dysport, Xeomin: How Many Neuromodulators Should Your Practice Offer? With Botox, Dysport, and Xeomin available and being marketed directly to your patients by their manufacturers, how many — and which ones — do you need? In the United States, we currently have three neuromodulator products (Botox - Allergan, Dysport - Medicis and Xeomin - Merz) approved by the FDA for treatment of the glabella complex. These products are also frequently used “off-label” for treatment of the upper-, mid- and lower-face. Botox has over a ten year-track record of safe and effective use and is the best-selling neuromodulator worldwide. Dysport was similarly approved as a cosmetic treatment in 2009. Of note, a recent injunction against Merz unrelated to safety or efficacy has delayed the nationwide rollout of Xeomin. Given that we have multiple agents to choose from, there are a number of issues to consider when choosing which neuromodulator(s) to offer to your patients. I’ll focus on Botox and Dysport as Xeomin is currently unavailable and has yet to receive its nationwide rollout pending the legal controversy. Is one agent safer and/or more effective? Clearly safety and efficacy are paramount when it comes to choosing a neuromodulator. All available neuromodulators are FDA-approved for treatment of the glabella and are frequently used off label with a favorable safety profile. There is evidence that Dysport has a greater tendency to diffuse and most injectors at some point will experience this. The risk of diffusion appears to be higher with more dilute/ larger volume injections. This is worth considering if you have less experienced injectors in your practice. With regard to effectiveness, an important point that should be well understood by all injectors is that 2.5 Dysport units are typically required to provide an effect and duration similar to 1 unit of Botox. The issues that we often see with the effectiveness of Dysport are often remedied when patients are treated with an adequate dose of Dysport. When patients are treated with adequate amounts of either agent, similar clinical effects are typically observed. Does one injectable last longer or have faster onset? In some studies, Dysport has a slight advantage in time to effect over Botox but this is a small difference. Duration of action will clearly differ depending upon the number of units administered and treatment must be tailored to the patient’s muscle bulk. While Dysport is often touted as having longer duration of action, I have not found this to be the case in practice. In my experience Botox and Dysport have similar onset (about 3 days) and length of efficacy (about 3 months). Again, the issue of appropriate dosing is critical. As long as a 2.5: 1 unit ratio of Dysport to Botox is provided, most patients can expect at least three months of benefit. Those patients who require a higher dose of one agent due to relatively greater muscle mass typically require similarly elevated doses of another agent. This reinforces the point that treatment must be tailored to the patient's anatomy regardless of which agent is chosen. Is there a certain facial region that is more suited to a certain agent? While several studies have suggested that one agent is more effective than another in certain facial regions, I have found the difference to be negligible in practice. Does one drug have a higher incidence of "non-responders" or "resistance"? “Resistance” to neuromodulator is highly uncommon. I have not seen this in the past four years of using both Botox and Dysport. I have experienced the patient who describes a neuromodulator “not working” who then responded beautifully to a repeat treatment. There are obviously numerous injector and toxin preparation explanations for this failure but this is clearly not immunologically-based resistance to treatment. Further, in my experience, patients who do require higher doses of one agent typically require higher doses of another. With regard to the newcomer Xeomin, it’s formulated as a “naked” toxin without other associated proteins. Thus, it is possible that the risk of immunologic reactivity will be lower following Xeomin treatment but this theory will takes years to be fully investigated. While Dysport was initially touted as being cheaper to the patient than Botox, this has not been the case. When patients are treated to effect, most injectors will agree that a ratio of 2.5 Dysport U: 1 Botox U is most appropriate. At current pricing in the Denver area ($12/ Botox U and $5/ Dysport U) the cost to the consumer is actually slightly higher for Dysport than Botox. Does one company offer better rebates to our patients? Both Allergan and Medicis offer consumer rebates of similar dollar amounts to assist patients in purchasing their products. Allergan typically provides instant rebates for product which reduces the point of sale cost to patients. Medicis provides mail-in rebates that are received after the treatment is rendered. Allergan also offers the Brilliant Distinctions program that provides “points” for future purchases of Botox, Juvederm and Vivité skin care products. This builds brand loyalty for Allergan by reducing the cost of future treatments but also appears to build practice loyalty. Although, these points can be used at any practice we find that the vast majority of these patients return to our practice to use their points for future treatments, aiding us with patient retention. Does one manufacturer offer better customer (physician) support? Both Allergan and Medicis offer significant support of injectors. Both companies also provide product and experts to train new injectors and expand the skill set of advanced injectors. Both offer volume discounts that increase as practices begin ordering larger amounts of product. Of note, Allergan also makes available marketing and practice building experts to its higher volume customers. As far as I am aware, this service is not offered by Medicis. As a Facial Plastic Surgeon with a busy medi-spa component to my practice, I've considered which products we need to offer to our patients. Our goals are to provide the safest and most effective treatments to our patients, to minimize our cost, to maximize our ability to generate revenue and to grow our business. Promoting a single neuromodulator product, in our case Botox, has allowed us to create a clear, consistent marketing message. We have also been able to boost our volume discounts and achieve a lower cost for Allergan products including Botox, Juvederm and Vivité products. This has allowed us to offer better package pricing and cross-promote neuromodulator, dermal filler and skincare products. We’ve also been able to tap the wealth of Allergan’s marketing expertise to better promote our practice at minimal additional cost. An additional advantage we’ve noted is less confusion among our patients. 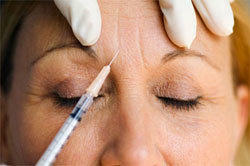 When most new patients ask for “Botox” they’re actually requesting a result rather than a specific product. Patients are seeking an improvement in their appearance, not a fellowship in available neuromodulator products! It is our job to determine which product will be most effective at delivering that result while at the same time allowing us to cover our overhead. Thus, the choice of which neuromodulator(s) to offer is a very personal decision based on concrete data and anecdotal experience. I’ve tried to outline our reasoning for limiting our practice to a single agent and I hope you’ve found this to be helpful.